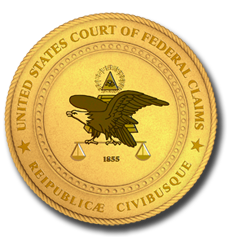 The United States Court of Federal Claims is a court of record with national jurisdiction. The United States Court of Federal Claims was recreated in October 1982 by the Federal Courts Improvement Act pursuant to Article 1 of the United States Constitution. The court consists of sixteen judges nominated by the President and confirmed by the Senate for a term of fifteen years. After 1982, the court retained all the original jurisdiction of the Court of Claims and continues, uninterrupted, a judicial tradition more than 140 years old. The court has since been given new equitable jurisdiction in the area of bid protests, as well as jurisdiction in vaccine compensation. The Court of Federal Claims is authorized to hear primarily money claims founded upon the Constitution, federal statutes, executive regulations, or contracts, express or implied in fact, with the United States. Many cases before the court involve tax refund suits, an area in which the court exercises concurrent jurisdiction with the United States district courts. The cases generally involve complex factual and statutory construction issues in tax law. Another aspect of the court's jurisdiction involves government contracts. It was within the public contracts jurisdiction that the court was given new equitable authority in late 1996. In recent years, the court's Fifth Amendment takings jurisdiction has included many cases raising environmental and natural resources issues. Another large category of cases involves civilian and military pay claims. In addition, the court hears intellectual property, Indian tribe, and various statutory claims against the United States by individuals, domestic and foreign corporations, states and localities, Indian tribes and nations, and foreign nationals and governments. While many cases pending before the court involve claims potentially worth millions or even billions of dollars, the court also efficiently handles numerous smaller claims. Its expertise, in recent years, has been seen as its ability to efficiently handle large, complex, and often technical litigation.